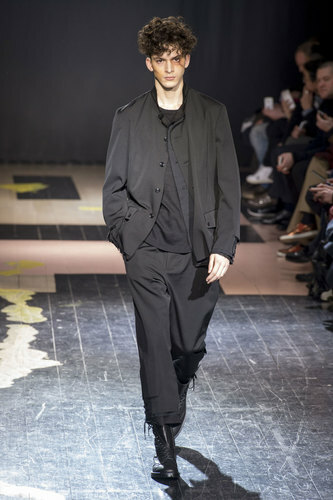 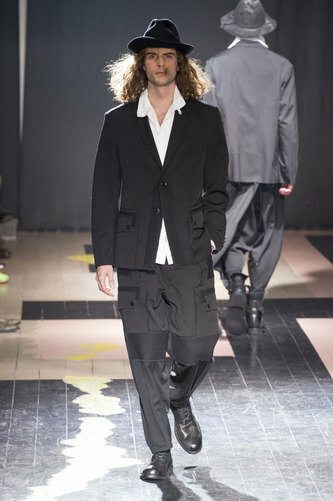 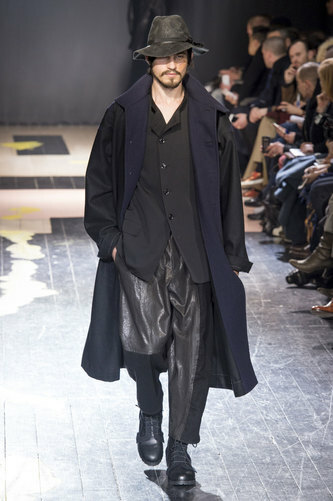 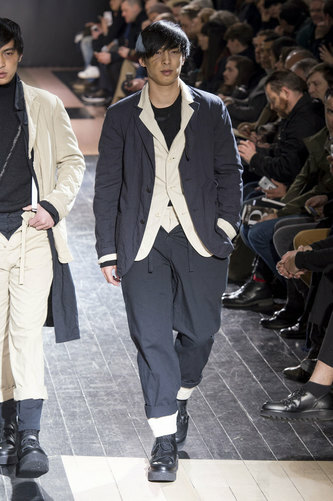 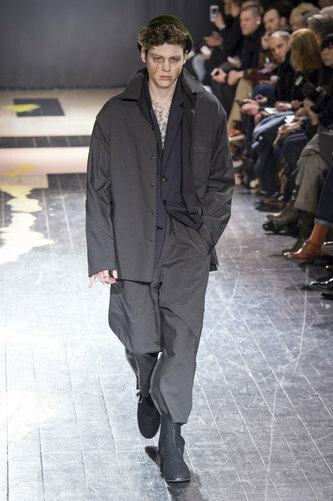 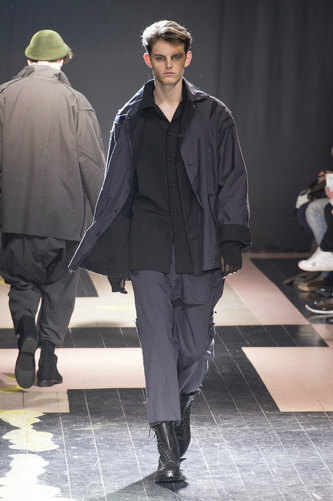 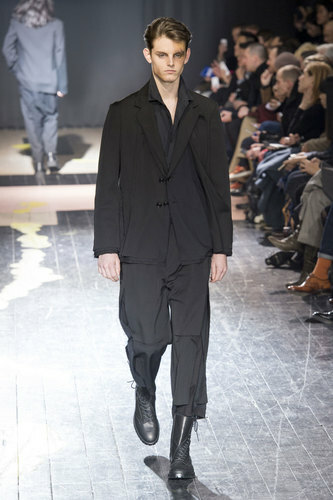 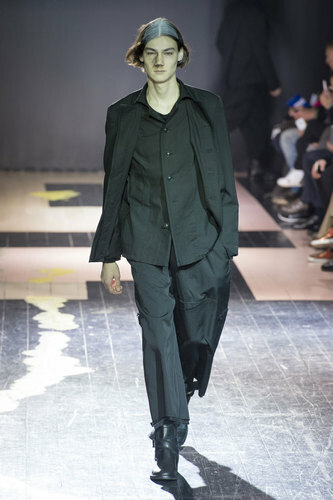 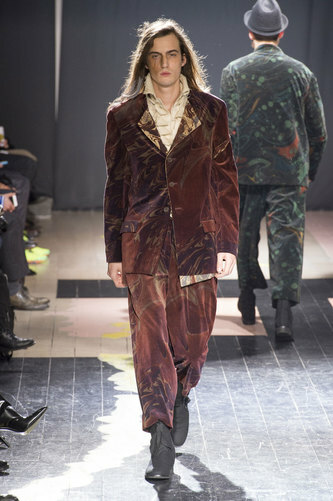 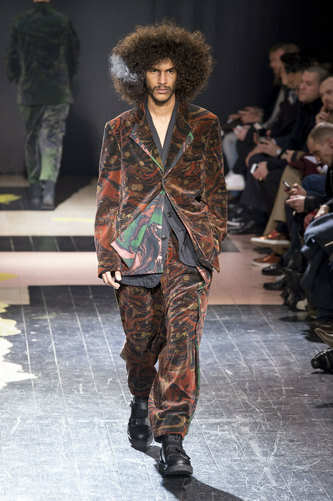 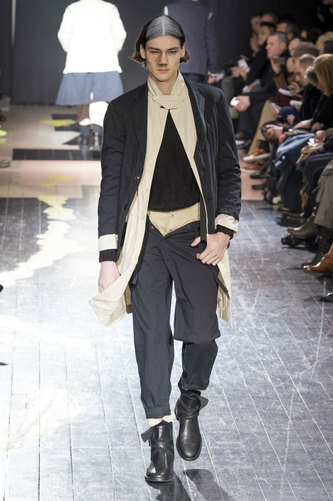 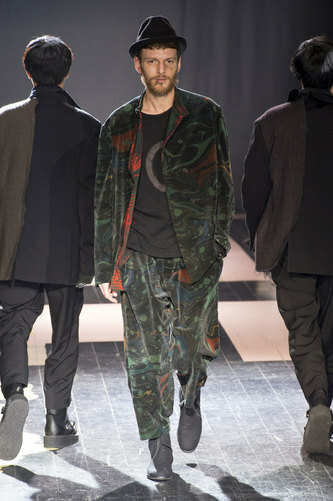 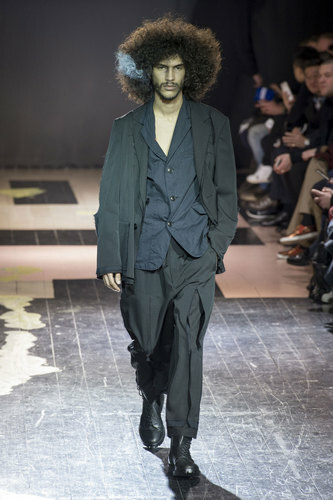 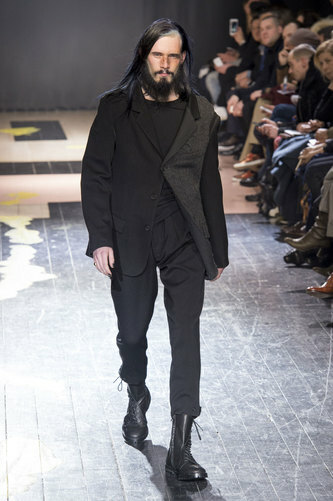 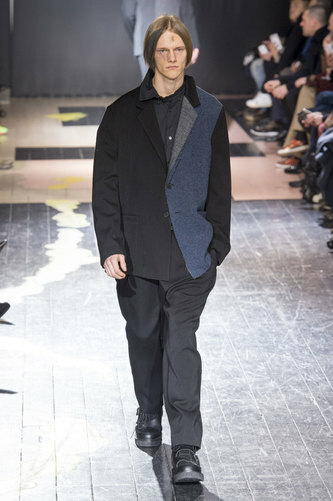 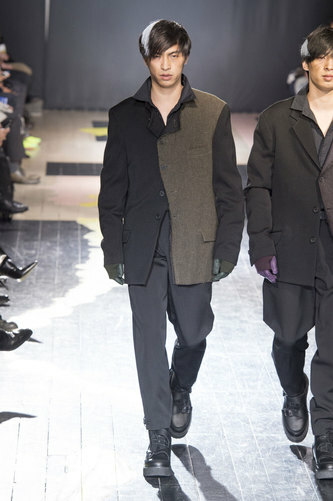 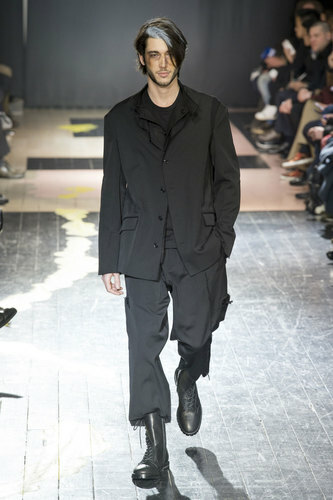 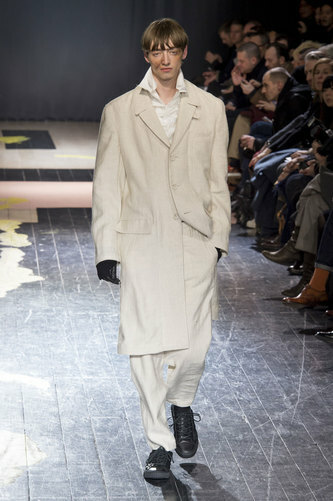 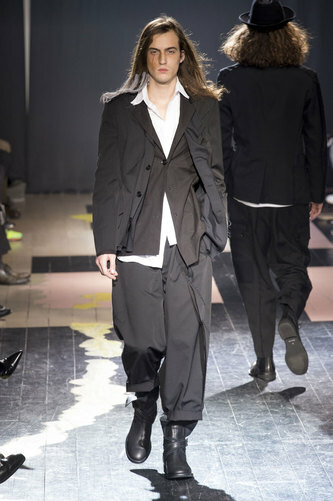 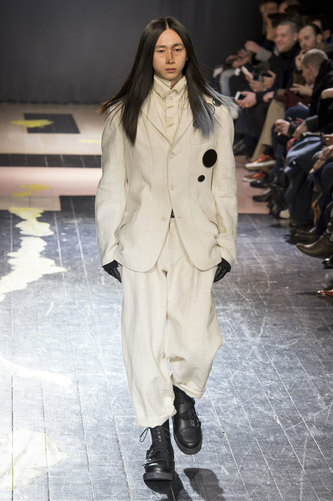 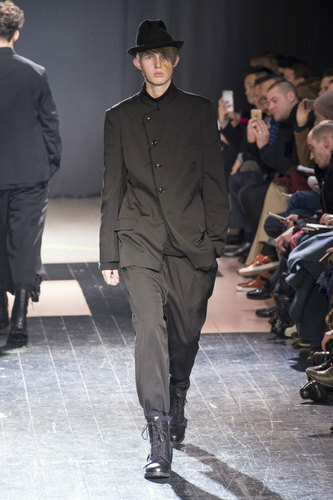 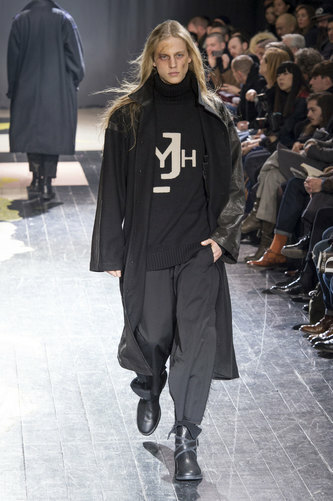 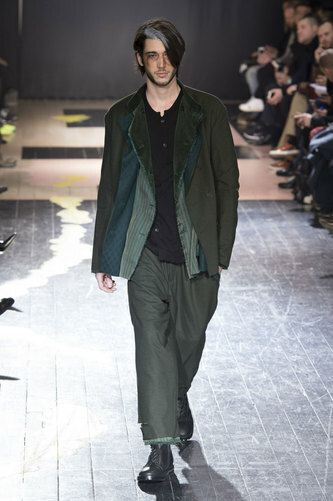 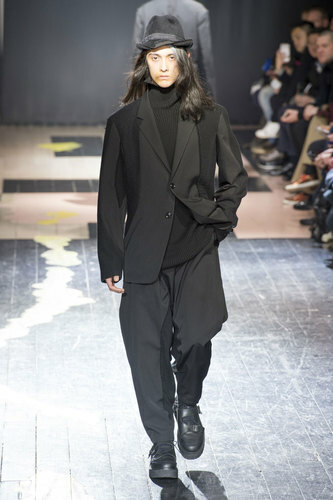 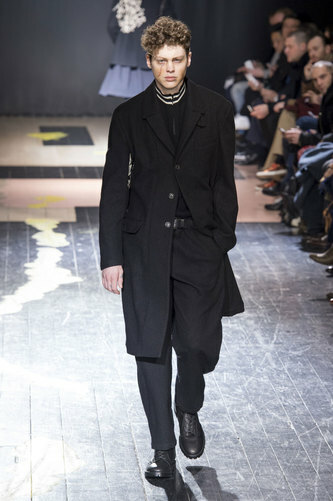 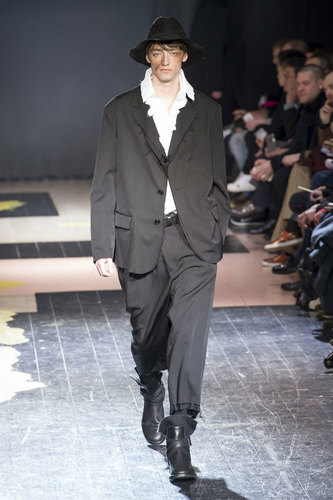 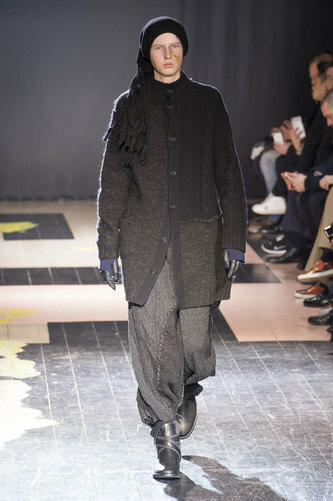 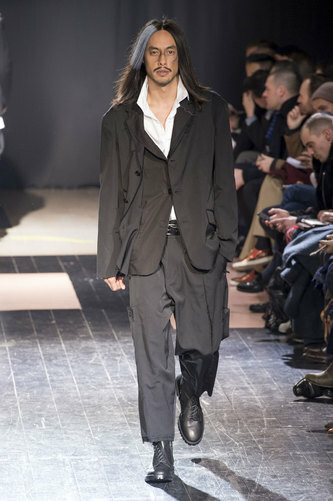 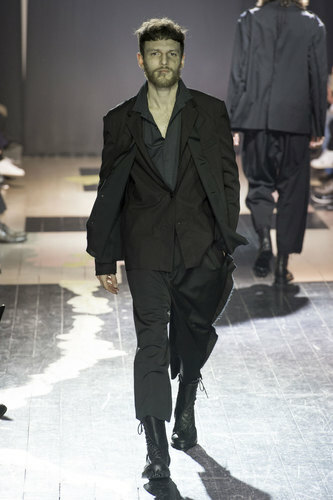 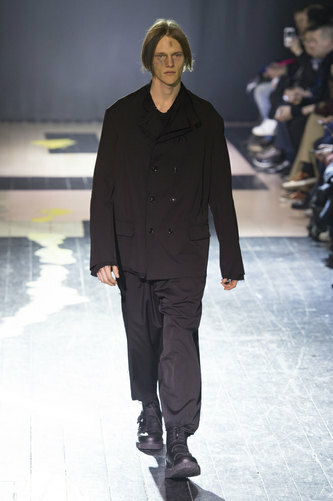 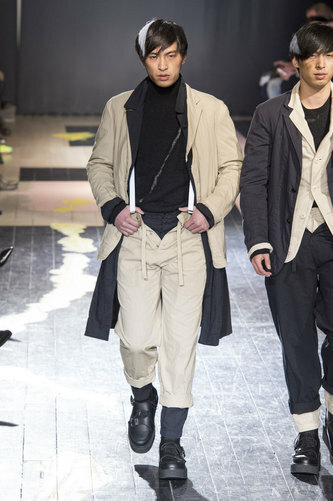 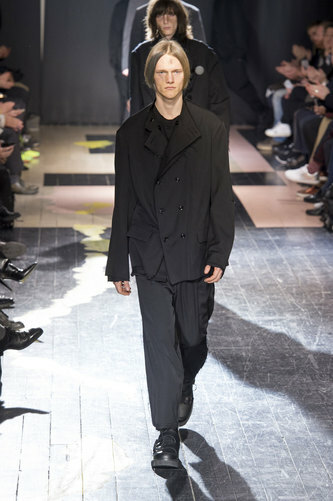 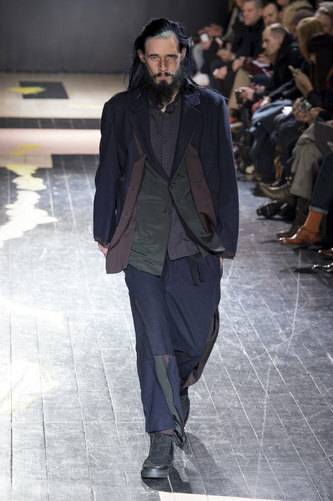 Yohji Yamamoto Man Autumn-Winter 2015-16 – Repeating the vintage theme, Yohji Yamamoto set the tone. 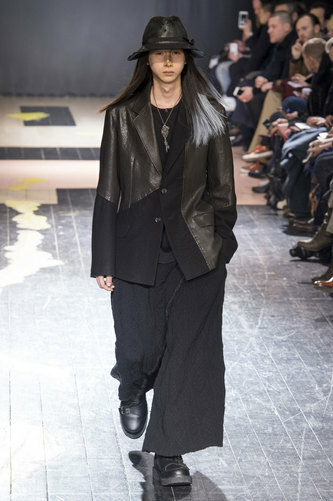 The undertones of black and grey is the most prominent of all the looks; re-enforced by grey streaks in the hair and make-up across the face depicts the image of a chimney sweep. 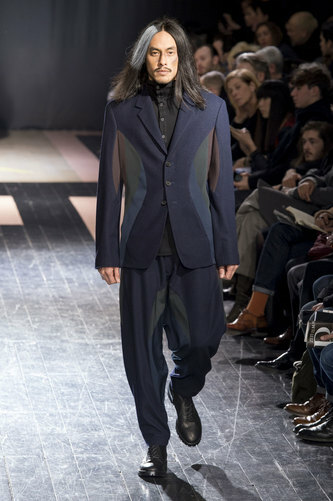 The standard, tailored suit has had a complete new re-vamp with offering heavier fabrics for a heavier image. 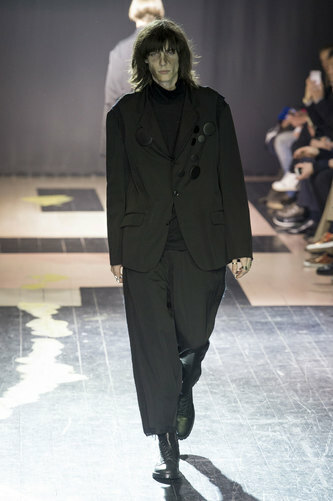 The emphasis of folds and structured areas of the outfit puts an alternative edge to it whilst still portraying function and comfort. 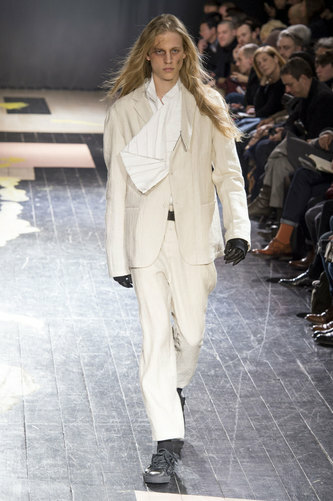 Slipping away from the aforementioned crisp, white shirts comes a bright white shirt with ruffles. 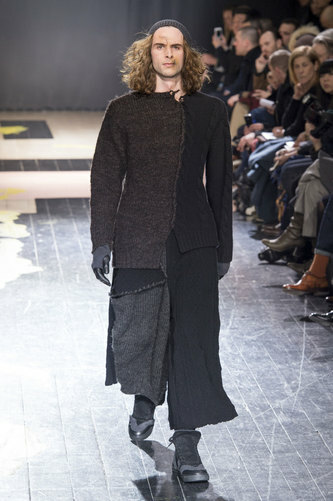 An open collar on the shirt drops a hint of casualness whilst the ruffles and layering provides and alternative feminine look; from around the era of the 18th Century. 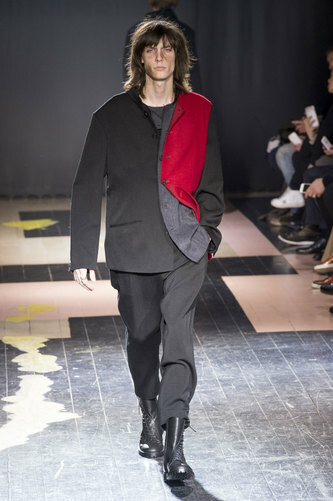 Added extras of pockets and slight touches of colours; blues, teals and reds, brighten up the sophisticated black; the simple touch of panelled colour completes the look.